Mallard Homes is proud to offer Lockwood Glen homes for sale in Lockwood Glen subdivision. 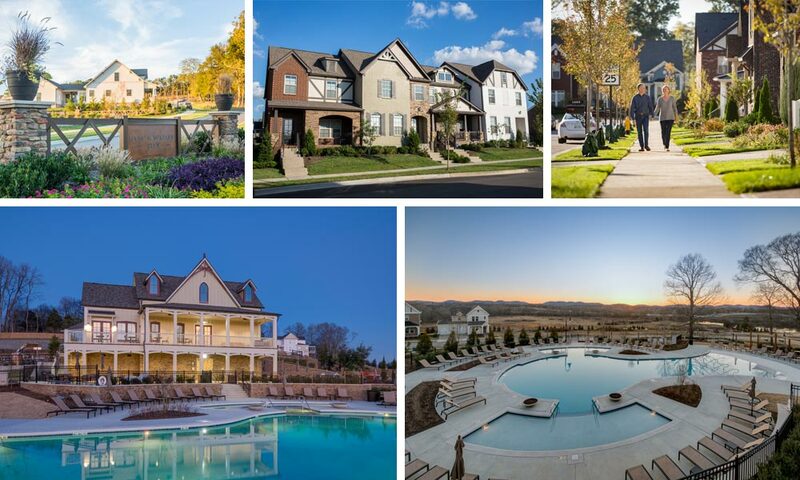 Mallard Homes is one of Franklin’s premier home builders and we are proud to have been selected as one of the few featured home builders at Lockwood Glen. Mallard Homes has a variety of new homes, elevations and floor plans to choose from in Lockwood Glen. If you are searching for Lockwood Glen homes for sale please click below to see all that Mallard Homes has to offer. Lockwood Glen begins with what is loved about life in Middle Tennessee – its rich culture, its rolling green hills, and its honest and friendly people. And it doesn’t stop there. Lockwood Glen adds what is hoped for in a community and home – leading design; connection to the outdoors; a feeling of relaxed sophistication; a place that stands the test of time. Lockwood Glen has been thoughtfully planned to feel authentic and timeless, like a classic small town, as if it has always been here. Picturesque streetscapes are highlighted by the traditional architectural styles found throughout Middle Tennessee. There are sidewalks and walking trails, pocket parks, expansive fields along the Harpeth River and Robinson Lake. We’ve preserved expansive meadows and a 12-acre lake for fishing and canoeing. There’s also more than 4,000 feet of frontage along the Harpeth River that winds through the community and provides access to the future greenway along the riverbank. This creates the perfect blend of town and country living, where children play in the front yard as grownups relax on the porch. A place where neighbors are truly friends, and the entire community comes together to socialize and celebrate. Over time we hope you will feel like you are part of Lockwood Glen, and it is part of you. 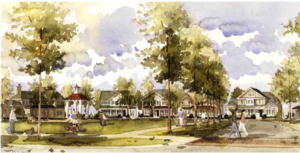 *The City of Franklin recently purchased the property along the western side of Carothers Parkway adjacent to Lockwood Glen and has conceptual plans to create a passive city park directly across from the Lockwood Glen Community. The plan behind this park is that it will maintain the natural beauty of this land along with its 12-acre lake while enhancing the accessibility and offering amenities that will be enjoyed by Franklin families. The City will install multiple fishing docks along the lake with a trail that goes throughout. There will also be picnic areas, maintained lawns, a proposed amphitheater, a playground and possibly a canoe launch into the Harpeth River. As a passive park, lighting will be controlled to just that needed for safety and circulation so as not to interfere with the natural ambiance of this area. This park is going to be an exciting accommodation not only to the Lockwood Glen and Echelon at Lockwood Glen residents, but also to the entire City of Franklin, to be enjoyed for years to come.